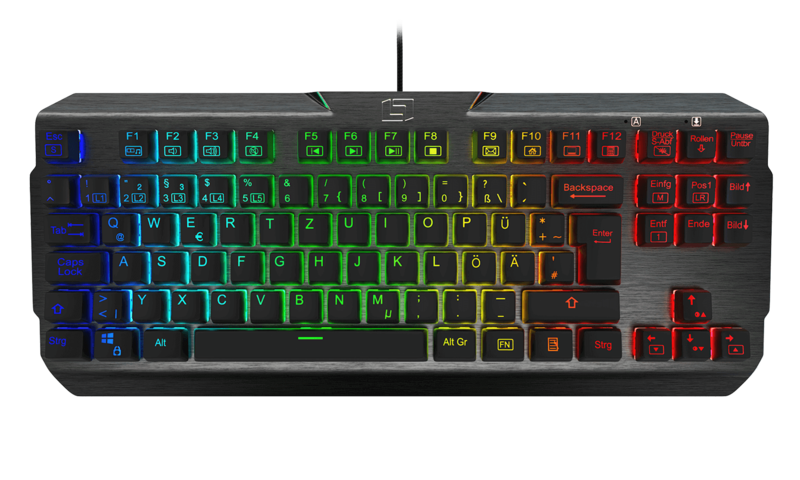 Our newest keyboard combines mechanical red switches, Lioncast Radiant Backlight technology, a aluminium chassis with a tenkeyless layout for competitive gaming. 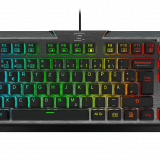 ust like the other Lioncast RGB Keyboards, the LK200 RGB relies on the trusted Radiant Backlight Technology and thus features an exceptionally intense LED backlight for every single key. 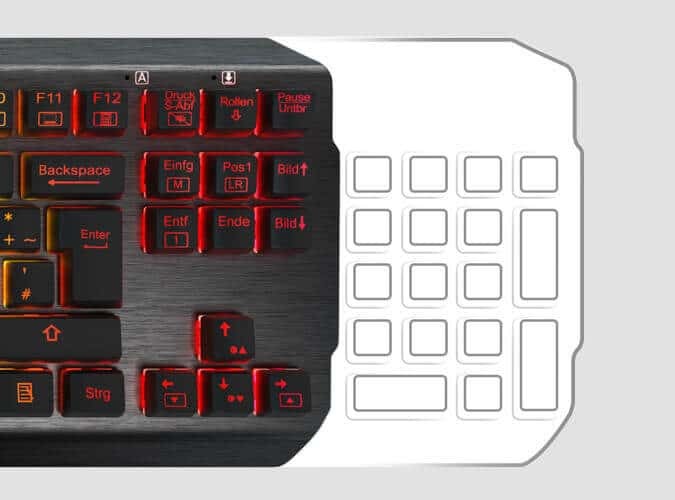 With the help of the sofware you can exactly control the way each individual key is backlit. This means you’ll never press the wrong button in the heat of the battle! Additionally to the individual backlight of each key the sofware provides you with preset illuminationprofiles for the most popular games. 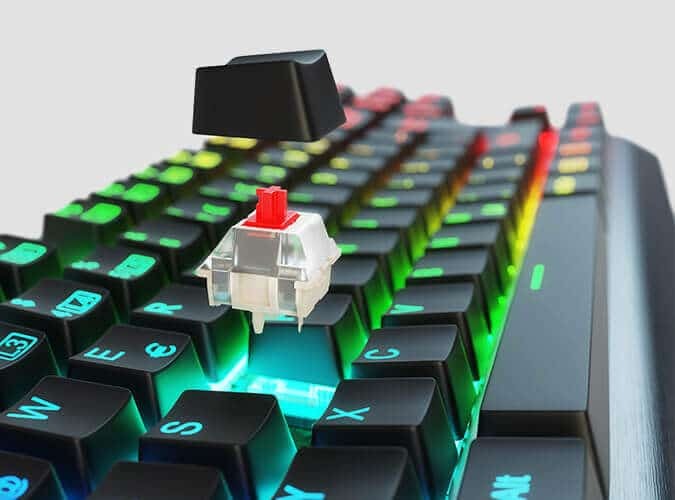 The very compact tenkeyless-design allows you to fit the LK200 seamlessly into your setup. 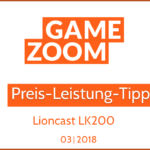 No matter if your desktop is cramped or if you are on LAN with your team – the LK200 never lets you down. The LK200 features mechanical red switches with linear keystrokes. 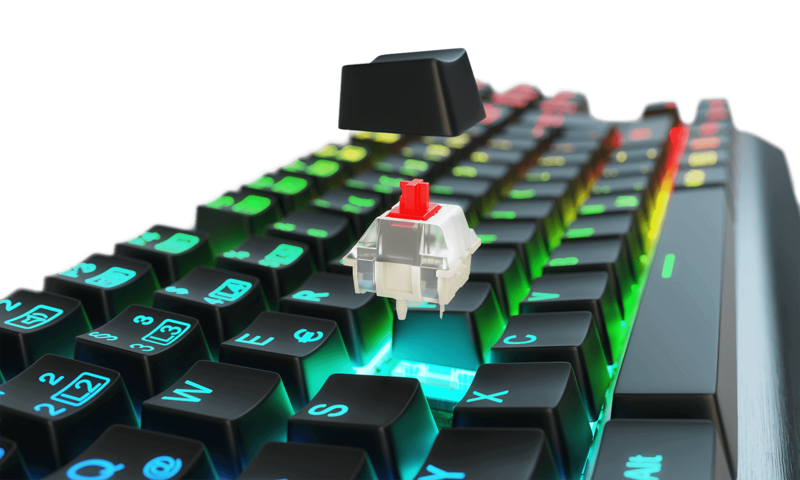 While we focussed on brown and blue switches for our other keyboards, the LK300 RGB could already convince many gamers of the excellent quality of the Red Switches. 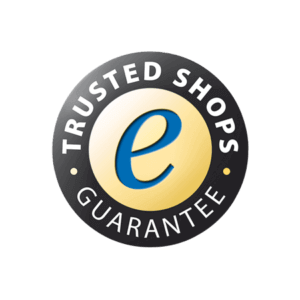 So naturally, we trust in their performance for the tenkeless LK200 RGB aswell. The switches are long-lived and will not change their actuation point even after several years of service. With more than 80 million key presses the switches have a higher durability than Cherry MX Switches.